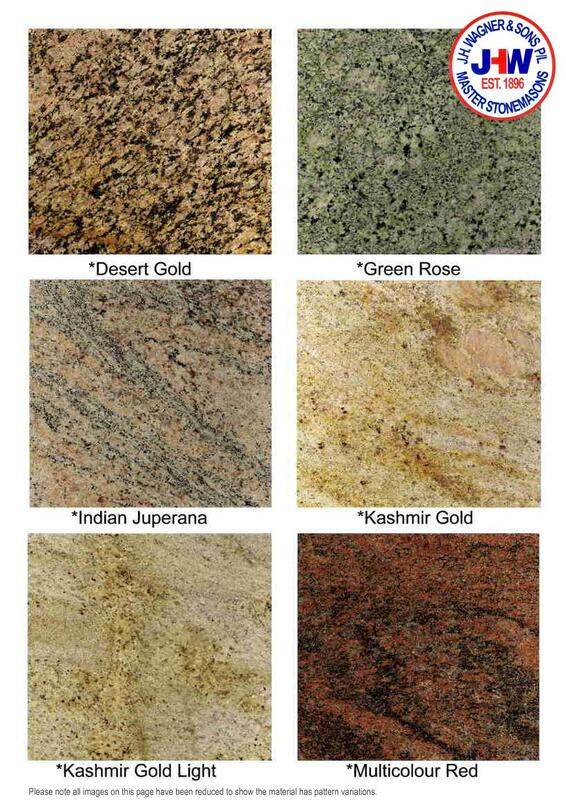 Polished granite colours available from J.H. Wagner & Sons. J.H. Wagner & Sons supplies polished granite for headstones, ornaments, garden seats, tables, columns and feature stones.